Is WeDoctor an exemplar for Western healthcare providers? The speed and scoop of technological change is forcing traditional healthcare providers to move beyond the comfort of their production models, embrace services and develop smart devices, which support customer-centric, value-based, data driven strategies. To illustrate this shift, we describe a Chinese internet healthcare start-up WeDoctor, which is having an impact on re-engineering China’s overly bureaucratic, fragmented and complex healthcare system and is positioned to influence the delivery of value-based healthcare services globally in the next decade. WeDoctor might be considered as an exemplar and its strategy copied by Western companies. Because most giant Western technology companies are banned in China, local firms have stopped copying Western counterparts and innovate. This has resulted in many Chinese apps and services being better than their Western rivals. For example, Huawei’s mobiles outperform Apple’s, and China is ahead on 5G, mobile money and artificial intelligence. In 2016 the US technology publication Wired ran a cover story entitled: “It’s Time to Copy China”. Imagine going to your primary care physician and, within a 15-minute consultation, receiving up to eleven tests, which include analysing your blood and urine, taking your blood pressure and measuring the electrical activity of your heart; and all the tests being delivered by a small portable all-in-one diagnostic device weighing just 5 kilos (11Ibs) and situated on the table of your doctor’s consulting room. Imagine further that your test results are returned in minutes rather than days or even weeks and uploaded to your cloud-based electronic medical record to be reviewed in real time by your doctor. Simultaneously, your data are anonymously merged with similar information collected from millions of other patients and stored in a cloud file embedded with AI, in the forms of machine learning and cognitive computing, which complement and enhance the capabilities of your doctor. Your physician plays a key role in interpreting your test results and providing you with a diagnosis and treatment options as well as giving you an essential human touch of reassurance and guidance. Notwithstanding, as soon as you leave your doctor’s office, your mobile phone will suggest smart ways to monitor and manage your condition remotely. Information about your condition will appear on your social media feeds, you will also receive prompts for treatments, alerts about health supplements and suggestions about appropriate insurance policies. Currently, no amount of money can buy such a service in advanced wealthy Western economies, but it is a lead device of WeDoctor, which is available in rural China and in other emerging countries. According to Frost and Sullivan, a consultancy, the China market alone for remote diagnostics is currently estimated to be US$2bn and projected to grow to US$28bn in 10 years. WeDoctor’s near-term goal is to capture a significant share of this market and help re-engineer China’s healthcare system by nudging individuals with the right piece of information at the time to maintain their health. This makes the device valuable to patients, healthcare providers and payers. It seems reasonable to assume that, in addition to being useful in China and other emerging countries, WeDoctor’s all-in-one diagnostic device is well positioned to help enhance primary care practice in developed Western nations by a process of ‘reverse innovation’. This refers to a strategy where a product offering, which is specifically developed for emerging countries is subsequently successfully marketed in developed wealthy nations. It is particularly relevant to healthcare systems, which are universally challenged to deliver high quality outcomes with increasingly scarce resources. The strategy was formalized in a paper entitled, ‘How GE is Disrupting Itself’, which was published in the October 2009 edition of the Harvard Business Review (HBR), and subsequently expanded into a book published in 2018 entitled, ‘Reverse Innovation in Healthcare: How to make value-based delivery work’. In the early 2000s, General Electric (GE) took an affordable, high quality portable ultrasound device, which it had developed for the Chinese market and successfully marketed it in the US and elsewhere. GE found that ‘affordability’ and ‘portability’ were universally valued healthcare factors. Jeffrey Immelt, then chairman and CEO of GE and one of the authors of the 2009 HBR paper, challenged other multinationals, “to see innovation opportunities in emerging markets in a new light”. Reverse innovation was more widespread than Immelt first thought and over the past decade the strategy has become a significant part in the armoury of many multinational corporations. Although the strategy is relevant for value-based healthcare,it is rarely practiced by Western healthcare providers. The starting point for reverse innovation healthcare strategies is emerging markets where the rapid growth in the demand for quality healthcare outstrips the development of resources and infrastructure. This creates significant opportunities for Western companies with smart solutions to common healthcare challenges. Similar to GE’s portable ultrasound device, WeDoctor’s smart all-in-one diagnostic device, in time, could be marketed in developed regions of the world where healthcare systems are struggling to improve patient outcomes while reducing costs. WeDoctor, founded by Liao Jieyuan an AI specialist, is backed by Tencent, which is one of the world’s largest technology and internet companies with a market cap of US$0.5trn and a mission to enhance the quality of life through the development and global distribution of emerging technologies. WeDoctor has a market cap of US$6bn, an established network in China of some 240,000 doctors, 2,700 large premier hospitals, over 15,000 pharmacies in 30 of China’s 34 provinces and about 160m platform users and joins a growing contingent of technology companies with a mission to change the healthcare industry, which to-date has resisted online disruption. Notwithstanding, there is a significant difference between giant Western technology companies who have entered healthcare markets and WeDoctor. While the former have tended to invest heavily in aspirational projects such as unravelling the medical mysteries of anti-ageing, and AI systems to replace clinicians, WeDoctor has been more pragmatic and focused on making money by unclogging bottlenecks in the Chinese US$1trn healthcare market. Although Liao is an AI expert and WeDoctor is a significant user of AI, Liao believes, “AI won’t replace doctors, but will become an important tool for doctors to help improve their efficiency and accuracy”. WeDoctor has a practical mission: to enhance access to quality medical resources, improve patient outcomes and reduce costs. Indeed, Liao founded WeDoctor simply to help people book physician appointments, which is challenging in China. Chinese primary care practices are underused due to the poor distribution of resources, a lack of reputable practitioners and the nation’s relatively low number of doctors per capita. Further, waiting times to see a hospital specialist are long and patients reportedly have to pay significant amounts of money to middlemen to secure appointments. In 2017, the Chinese central government released a plan to become the world leader in AI by 2030, aiming to surpass its rivals technologically and build a domestic industry worth almost $150 bn. WeDoctor and other Chinese healthcare providers are mindful that AI is a transformative technology for healthcare partly because of its ability to recognise patterns in vast amounts of data and to detect and quantify biomarkers in non-solid biological materials. Jamie Susskind, in his book Future Politics, published in 2018, suggests that doctors consulting both medical and legal big data banks in support of diagnoses and treatments, will become as commonplace as consulting standard images such as MRIs or X-rays. And if such data banks are not consulted it will be considered negligent. WeDoctor’s AI systems hold out the prospect of delivering rapid diagnoses, efficient triage, enhanced monitoring of diseases, improvements in personalized care and making medicine safer. Notwithstanding, a limiting factor in the use of AI systems in healthcare generally is neither investment nor the technology, but the ability to amass vast amounts of reliable personal and genomic data. This is a bigger challenge in the West than in China. More robust privacy legislation, higher levels of security and broader-based ethical concerns in the West are substantial obstacles. A significant advantage of WeDoctor is the freedom in China to collect, store, analyse and use patient, personal and genomic data on an unparalleled scale. China has yet to establish laws to protect such personal information and is systematically building health profiles on its 1.4bn citizens, which, together with Beijing’s commitment to AI, will provide scientists in China a significant advantage to lead and dominate life sciences over the next decade. WeDoctor is just one of several recent Chinese online start-ups employing evolving technologies to improve China’s healthcare system. Another is Good Doctor, which is an offshoot of the Ping An Insurance Group, a financial giant with a US$181bn market cap, annual revenues of US$142b and 343,000 employees. Both start-ups compete to build smart clinics in rural China. In addition to its smart diagnostic device, WeDoctor has leveraged Tencent’s substantial expertise and resources in mobile, AI and cloud-based technology to develop a significant customer-focused retail prowess and is rapidly developing a range of services for healthcare providers and manufacturers of medical devices. This positions the company well to have a significant near-term impact on Asia’s healthcare systems. In 2018 alone, WeDoctor has strengthened and extended its franchise by entering into a number of partnerships with a range of healthcare stakeholders, which include insurance companies, specialist in the procurement and distribution of medical devises and also investment companies interested in improving the physical infrastructure of southeast Asian healthcare systems. We describe some of these partnerships, which enable WeDoctor to consolidate and expand its market position both in China and internationally and suggest that Western healthcare providers should be considering similar partnerships to help them make the product to service shift. In May 2018, WeDoctor formed a strategic alliance with the AIA Group, which is the largest public listed pan-Asian life insurance group with customers in China and across the Asia-Pacific region. WeDoctor and AIA are aligned in their ambition to partner with consumers in China and across southeast Asia to provide innovative quality healthcare and wellness offerings and financial protection solutions. The partnership provides WeDoctor with preferred access to AIA’s customer base and thereby strengthens and enlarges its networks and strategies to deliver affordable, digitally-enabled personalised healthcare offerings. AIA becomes WeDoctor’s preferred provider of life and health insurance solutions and gains access to its 160m registered users. According to Liao the partnership, “leverages AIA’s long history and extensive operations across the Asia-Pacific region . . . and is crucial to meeting the diversified life and health insurance requirements of our growing user base as we look to anticipate users’ needs, through our platform’s expanding functionality and our mission to transform healthcare through technology. This partnership not only helps us to cement our position as the premier technology-enabled healthcare solutions platform in China but also supports us as we expand our international presence in the years to come”. Also, in May 2018, WeDoctor made a strategic investment in Reproductive Healthcare,a new in-vitro fertilisation (IVF) group, which was formed by a merger between two of Hong Kong’s largest and most reputable IVF practices. This was WeDoctor’s first investment outside of Mainland China and represents a significant milestone for the implementation of its international strategy. The new company provides a comprehensive range of IVF services, which include intra-uterine insemination, frozen-thawed embryo transfer and egg freezing services for China and the Asian region. The new company’s established frozen embryo services benefit from findings of a paper published in the January 2018 edition of the New England Journal of Medicine, which suggest that pregnancy and live birth rates are similar among women who use fresh or frozen embryos. In August 2018 WeDoctor, entered into an agreement with the Mason Group and Aldworth Management to acquire an 89.9% stake in Genea, Australia's leading provider of integrated advanced assisted reproductive technology (ART) services. Headquartered in Sydney, Genea has over 400 employees and is a leading international fertility group with a 30-year track record and a significant presence in New Zealand and Thailand as well as Australia. The company offers a comprehensive range of ART services, including IVF, egg and embryo freezing, genetic testing, sperm banking, day surgeries and pathology. Genea has developed proprietary technologies, including culture media and embryo transfer catheters, which are used in more than 600 clinics across 60 countries and is the only ART platform, with both services and technology, in the industry worldwide. The agreement strengthens both WeDoctor’s international strategy and its ability to increase its share of China’s US$2bn and fast-growing IVF market. WeDoctor also is targeting a bigger share of the outbound Chinese IVF medical tourism market, which in 2017, grew approximately 40% year-over-year to approximately US$151m. According to Grand View Research, the global IVF market in 2017 was valued at about US$15bn and is expected to grow at a CAGR of around 10%. In July 2018, WeDoctor entered into a joint venture (JV) with IDS Medical Systems Group (idsMED Group), to form idsMED WeDoctor China Ltd. This is China's first smart medical supply chain solutions and procurement company and is positioned to transform China’s fragmented, multi-layered and relationship-driven medical device distribution systems. idsMED is a leading Asian medical supply chain solutions company specialising in the distribution of medical devices and consumables, clinical education and hospital design and planning. It represents over 200 global MedTech companies and has extensive Asia Pacific distribution networks with access to over 10,000 healthcare institutions. The company has 1,600 employees, including 700 experienced field sales, product and clinical specialists and 300 professional bio-medical engineers providing installation and maintenance services. The JV, owned 51% by WeDoctor and 49% by idsMED Group leverages the respective companies’ strengths, innovative resources and networks to procure medical devices and services centrally by connecting global manufacturers directly to China’s hospitals and healthcare providers. 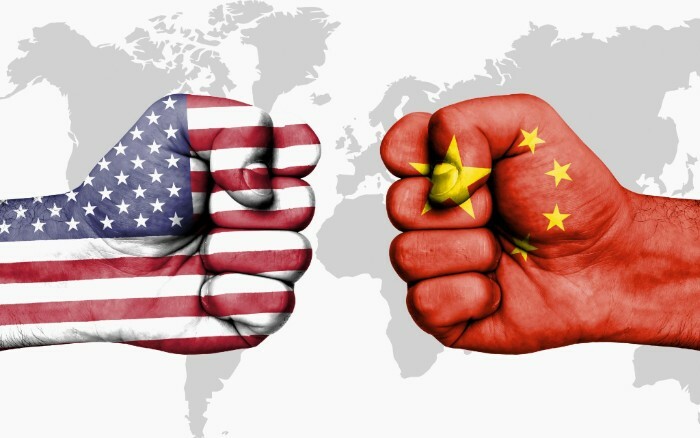 The JV will further enhance WeDoctor’s value proposition by managing and optimizing China’s entire medical supply chain, which until now has been fragmented, overly bureaucratic and complicated. In addition, idsMED WeDoctor will set up medical education and training academies throughout China to deliver and promote medical devices and clinical education as well as accredited medical training courses for doctors and nurses. In September 2018 WeDoctor entered into a strategic partnership with Fullerton Health a Singapore-headquartered healthcare service provider. The alliance is, “In line with WeDoctor’s international growth strategy and will extend our reach and facilitate our development in Asia,” said Jeff Chen, WeDoctor’s Chief Strategy Officer. The JV provides WeDoctor access to Fullerton Health’s 500 healthcare facilities and its network of over 8,000 healthcare providers across eight Asian pacific markets. Fullerton Health benefits from WeDoctor’s footprint in China and broadens its patients’ access to online healthcare consultations. In the near term, both companies aim to broaden their reach in the corporate healthcare service market by opening onsite medical centres for businesses across China. In addition, the partnership plans to create about 100 primary care and specialist outpatient facilities. Healthcare has become digital and global and long ago, the geo-political axis of the world has moved East. To remain competitive, Western healthcare providers must increase their knowledge and understanding of initiatives in China and southeast Asia, be prepared to transform their strategies and business models and engage in partnerships with a range of healthcare stakeholders, complementary enterprises and start-ups in emerging nations. Two of China’s largest healthcare challenges are the uneven distribution of its services and its vast and escalating costs. The nation has an underserved primary care sector and the most qualified and experienced doctors are concentrated in a few premier mega-city hospitals, which account for 8% of the total number of medical centres but handle 50% of the nation’s outpatient visits. These challenges are not unique to China but experienced by healthcare systems throughout the world. WeDoctor is an exemplar of how such universal healthcare challenges might be improved by a combination of evolving smart technologies and strategic partnerships with a range of healthcare stakeholders. As MedTech companies continue to transform their business models to increase customer-centricity, the types of partners they need to engage will only expand. In a rapidly moving market, keeping abreast of these potential collaborators is critical. Another takeaway is that WeDoctor does not use AI and big data technologies to resolve the mysteries of medicine, but to increase access to healthcare, improve diagnoses, enhance patient outcomes and lower costs. The company also is increasing the effectiveness and efficiency of healthcare providers by simplifying and centralizing procurement processes of medical devices and pharmaceuticals. Once WeDoctor has helped to improve China’s healthcare infrastructure, the nation would have amassed the world’s largest personal, medical and genomic data base of its citizens. WeDoctor will then be well positioned to turn its formidable AI prowess to accelerating R&D in lifesciences, improving the accuracy of early diagnoses, enhancing the monitoring of devastating life-threatening diseases and improving personalized care. WeDoctor is an exemplar for Western MedTech companies. London heart attack sufferers taken to a specialist cardiac centre have a 60% chance of survival, whereas those taken to a standard A&E unit only have, at best, a 26% chance of survival: according to unpublished information from the London Ambulance Service. Experts say that the current provision of cardiac services in north and east London have, "relatively poor patient outcomes in comparison to the rest of England", and suggest that St Bartholomew's Hospital in central London should be transformed into a huge cardiovascular surgery unit, and a hub for a comprehensive network of care, which would embrace GPs and local hospitals. 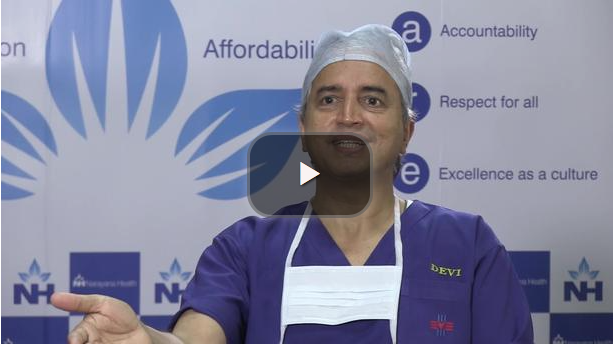 For years, Devi Shetty, world-renowned heart surgeon, philanthropist, Founder, Chairman and Executive Director of Narayana Health, one of Indian’s leading private hospital groups, has argued that, "One hundred or 200 bed hospitals are not the solution". Narayana Health has Asia's largest cardiac centre providing affordable world-class cardiac care. 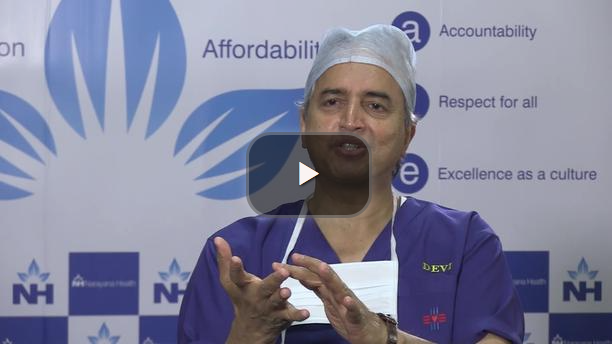 "Large specialist cardiac centres, treating high volumes of patients, staffed by specialists and equipped with the latest technology, save lives, reduce complications, lower costs, and are the hospitals of the future," says Shetty. The proposed new Bart's Heart Centre is similar in concept to Shetty's 1,000-bed cardiac hospital in Bengaluru, which attracts patients from more than 70 countries, and each year, performs some 7,000 surgeries; 50% on children and new-borns. It also serves as a centre of excellence for cardiac services in regional communities. Besides size, Shetty also appreciates the significance of culture in developing the hospital of the future. In Narayana's 24 hospitals in 23 cities, Shetty has developed a culture of improving clinical outcomes while reducing costs. All Narayana's 14,000 employees are committed to providing affordable world-class integrated healthcare services for people with complex medical needs. No matter how large the new London cardiac centre, without an outcomes-orientated culture supported by every employee, the quality of patient care is likely to be inferior to that of Narayana Health. Narayana's outcomes data are systematically collected, organised, widely shared and used to improve clinical guidelines and decision aids. Data sharing in Narayana creates peer completion and self-regulation, which improves clinical outcomes, without incurring the costs of heavy regulation and unwieldy bureaucracy. Narayana's surgical outcomes compare well against the world's best. Its mortality rate within 30 days of the high-volume coronary artery bypass surgery is 1.4%, compared with an average of 1.8% for England and 1.9% for the US. Were these figures adjusted for risk, Narayana's outcomes would be even better. Narayana's hospital-acquired infection rate is 2.8% per 1,000 ICU days, which is comparable with the best hospitals in the world. Like their UK NHS counterparts, Narayana's senior surgeons provide consultations for patients, lead operations, train surgeons and discharge patients. Unlike their UK counterparts, they're incentivised to spend more time in the operating room concentrating on what they do best - complex surgeries – while junior surgeons open and close surgical procedures and other health professionals attend patients in ICUs. Typically, Narayana's surgeons work 60 to 70 hours a week, perform up to five operations a day and a third of their compensation is profit related. By contrast, UK's NHS consultant surgeons undertake between three to four procedures a week and their pay is based on 10 4-hour programmed activities a week and anything more is paid overtime. Unlike the NHS, Narayana has no rifts between clinicians and administrators; both are responsible for financial management. Every day, every doctor and every administrator receives a text message with the previous day's profit and loss statement. Narayana's heart centre in Bangalore is a MECCA for western policy makers. All come away inspired but suggest that Narayana is an “Indian phenomenon”. Perceiving Narayana Health as “Indian” fails to see the elephant in the room. In February 2014, Shetty opened a 140-bed hospital in the Cayman Islands as the first phase of a 2,000-bed Narayana Health City designed to capture share from the American healthcare market. "Our intention is not just to build a super specialty hospital; our intention is to build a hospital of the future," says Shetty.